May Sirens Meet-Ups: Denver and New York City! As the northern and mountainous parts of the country thaw finally into spring, we’re excited to announce a few in-person meet-ups per our annual tradition. While these casual get-togethers are no replacement for our conference in October, they are a great way to connect with members of the Sirens community in the meantime. The meet-ups below are hosted by Sirens staff or ambassadors, so if you live near these cities or happen to be in town, we hope you’ll join us. We welcome everyone, whether you’ve attended Sirens previously and want to catch up, or have never attended and are curious. As always, please feel free to bring questions, friends, and a note-taking device as you’ll undoubtedly leave with a long list of book recommendations! Come for the Death Star ice cream sandwiches, stay for the BB-8 hand pies. *Address will be sent after attendees have RSVP’ed. There will be cookies, lemonade, a plethora of nearby food options—and (weather permitting) celebrating the opening of the lawn in Bryant Park! *Rain location will be the nearby Kinokuniya Bookstore, in the upstairs café. Please note that with the exception of food brought to be shared, participants are responsible for their own food and beverages. And if you aren’t near Denver or New York City, don’t despair . . . more meet-ups are in the works for June! Stay tuned for more information. Due to a very happy personal circumstance, Zen Cho will no longer be able to attend this year’s Sirens. Instead, the incomparable Violet Kupersmith will join us as our Hauntings guest this October! 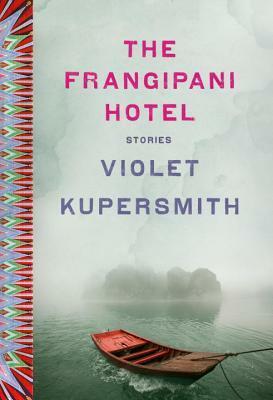 Violet is the author of The Frangipani Hotel, a collection of supernatural short stories about the legacy of the Vietnam War, and a forthcoming novel on ghosts and American expats in modern-day Saigon. We’ve been enthusiastically recommending The Frangipani Hotel every year at Sirens since it was released. 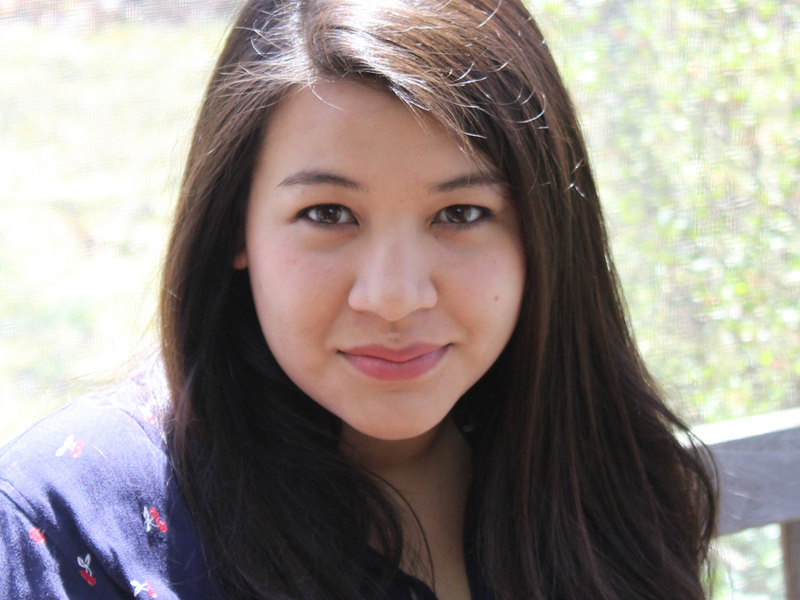 Her ghost stories are simultaneously retold Vietnamese folktales, an indictment of the Vietnam War, and an exquisite exploration of loss—of culture, of country, of family, of self. Her settings are palpable, her characters all-too-human, and her work brilliant, incisive, and subversive. Please join us in welcoming Violet to Sirens! We have updated our reading lists and website, and you can read Violet’s full biography on our Guests of Honor page. You have only seven days left to propose programming for this year’s Sirens! We hope that you’re considering submitting a proposal or two. You voice is valid and valuable, whether you’re new to Sirens or a ten-year veteran, and whether you’re a reader, scholar, librarian, farrier, secret-keeper, or heroine! We are accepting proposals until May 6. For full information and instructions, please see our Programming Proposals page, as well as our series of blog posts on 2018 Programming, featuring programming types, tips, tricks, and general advice. Due to the tremendous generosity of the Sirens community, we have 12 scholarships to award this year: three for people of color, three for exemplary programming proposals, three for those with financial hardships, and three for librarians, educators, and publishing professionals. The deadline for financial hardship and professional scholarships is May 13. For more information, visit our Scholarships page. Each scholarship includes a conference registration and a round-trip shuttle ticket. Please spread the word! If you’re eligible for a scholarship, we very much hope that you’ll apply. Everyone needs a helping hand or some extra encouragement sometimes, and we’re so grateful to the Sirens community for making this support possible. Studio and Supper tickets are nearly sold out! We currently have only 14 tickets remaining for our Sirens Studio and six tickets remaining for our Sirens Supper. If you’d like to purchase a ticket, you may do so in our registration system. Please note that attendees must pay for their own drinks and food. RSVP to Jennifer at (jennifer.shimada at sirensconference.org). Please see our post for the full details. Sirens co-founder Amy Tenbrink talks personal reading quirks, reluctant heroines, and dazzling world-building in her book club pick this month—S. 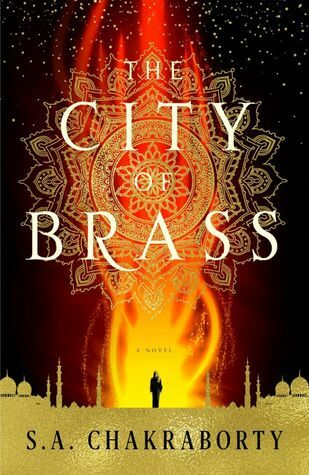 A. Chakraborty’s The City of Brass—which she called, “in many, many, ways … a tour de force.” Read her thoughts on the blog and on Goodreads. 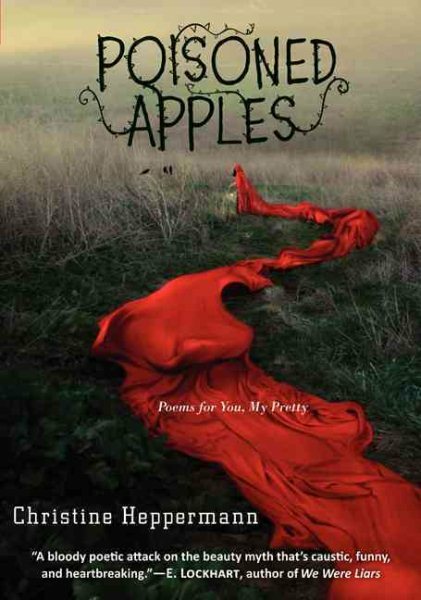 Communications Director Faye tried her hand at young adult poetry this month for her 2018 Reading Challenge pick, Christine Heppermann’s Poisoned Apples: Poems for You, My Pretty. “The book is a handsome tome, pocket-sized with art and text laid out just-so, and Heppermann is clearly talented, even if her poems don’t speak to my experience as a former teenage girl.” Read her full review on the blog and on Goodreads. Sirens Meet-Ups: Denver and New York City! Posted on April 10, 2018 at 9:00 am | Comments Off on Sirens Meet-Ups: Denver and New York City! Each spring, we at Sirens like to break up the long year in between our conferences with some in-person meet-ups! While these casual get-togethers aren’t quite the same as the official conference in October, we’ve found that it’s a great way to connect with the Sirens community in the meantime. The following two meet-ups are hosted by Sirens staff members—Amy in Denver and Faye and Jennifer in New York, so if you live near those cities or happen to be in town, we hope you’ll join us! We welcome all members of the Sirens community, whether you’ve attended the conference before and want to catch up, or have never attended and are curious. Bring your questions! Bring your friends! Bring your book recommendations! Whether over drinks, dinner, nibbles, or a pot of tea, books are always on the menu. Note: Participants must pay for their own food and beverages. If you think you might join us, you can RSVP at the Facebook event pages above, to @sirens_con on Twitter, or to Jennifer at (jennifer.shimada at sirensconference.org). Though nothing can replace Sirens in October, we’ve begun hosting occasional gatherings throughout the year where our staff is based or occasionally travels to—and it’s been a nice way for the Sirens community to stay in touch. We had a great time last month in New York City’s meet-up with tea and books, so we’re putting on another meet-up: Denver edition… this time with margaritas, dinner, and books! Want to join us? As ever, we welcome all members of the Sirens community, whether you’ve never attended Sirens or you’re a veteran! Are you new and curious? Heard of us but haven’t made it to Sirens yet? Attended before and want to bring your friends this year? Just want to catch up? Come on down! Bring your book recommendations, too! Notes: Participants must pay for their own drinks and dinner. If you think you might join us, please RSVP to either @sirens_con on Twitter, here on Facebook, or to Faye at (faye.bi at sirensconference.org). Only 12 days left to submit programming proposals for this year’s conference! As you all know by now, programming for Sirens is crafted, proposed, and if accepted by our independent vetting board, presented by attendees. We just finalized our vetting board for this year, and they’re eagerly anticipating your proposals! Programming Perspectives – Presentation Styles: Find out about different presentation styles from past presenters! If you need inspiration, check out our #SirensBrainstorm hashtag on Twitter, with fresh ideas free for the taking! Everything else you need to know is on our Programming and Proposals pages on the Sirens website, but if you have questions, please contact our programming team at (programming at sirensconference.org). Again, the deadline for proposals is May 8, 2017. Thanks to the generosity of the Sirens community, we fully funded ALL NINE scholarships for 2017. Pat yourself on the back (or on your fairy wings)! If you’d like to attend the conference this year and need a scholarship, we highly encourage you to apply. Con or Bust will award three Sirens scholarships to people of color in accordance with their policies. Those who submit exemplary programming proposals can also apply for one of three scholarships as part of their proposal submission by May 8. These will be determined by our scholarship committee. 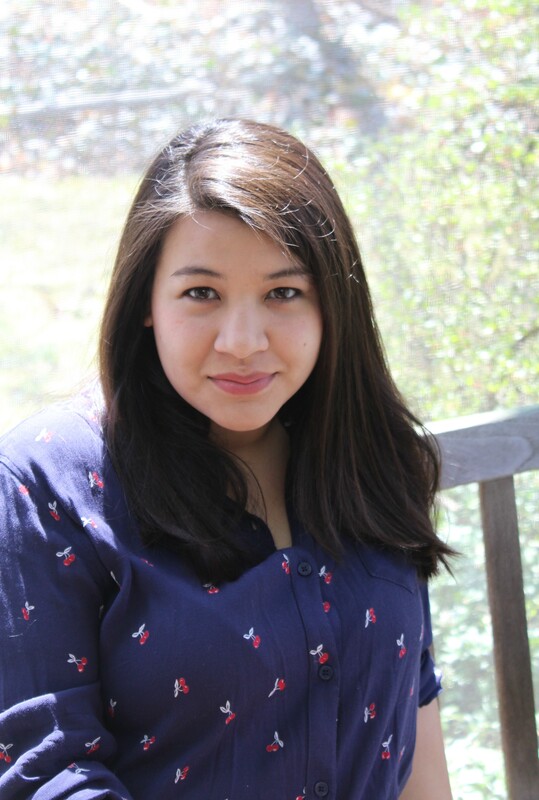 The final three scholarships are designated as financial hardships scholarships, open to anyone. A short application is required, and due by May 8. Recipients will be chosen randomly. If you’re in New York City area this Sunday, April 30, please join us for a casual Sirens meet-up! We’ll be at Radiance Tea House & Books from 2–4 p.m. Bring your friends, your book recommendations, and your questions! See here for more information. If you’re planning to be in the Denver area on Thursday, May 25, hold that date! Sirens is planning a Denver meet-up for drinks and dinner that evening, with more details to come! 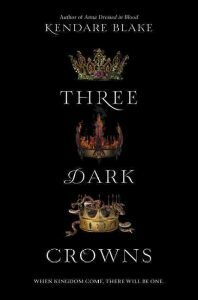 For April, Sirens co-founder Amy Tenbrink read the Kendare Blake’s Three Dark Crowns and really liked it, but “couldn’t find her way into this book.” Check out what she calls “the world’s most conflicted book review ever” over on the blog and on Goodreads. 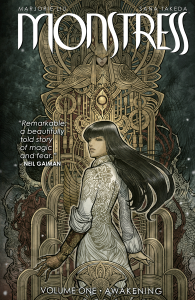 For the Reading Challenge this month, Faye read Marjorie Liu’s and Sana Takeda’s Monstress Vol. 1, which she’s excited to share ALL HER THOUGHTS in her review, coming later this week, on the blog and Goodreads. Past Sirens Guest of Honor (2014) Andrea Hairston reviews past Sirens Guest of Honor (2016) Kiini Ibura Salaam’s When the World Wounds. Sirens Meet-Up: New York City! Posted on March 27, 2017 at 9:00 am | Comments Off on Sirens Meet-Up: New York City! We had so much fun at our Sirens meet-up last May, we’ve decided to go for another round! While these meet-ups aren’t quite the same as the official conference in October, we’ve found that casual get-togethers in the middle of the year are a great way connect members of the Sirens community in the meantime. If you live in the New York City area, would you join us for a pot of tea and some snacks? All are welcome whether or not you’ve attended a conference before: bring your friends, your book recommendations, and any questions you may have. We’re excited to meet you! Notes: Participants must pay for their own tea and snacks. If you think you might join us, please RSVP to @sirens_con on Twitter, here on Facebook, or to Faye at (faye.bi at sirensconference.org). Denver-ites, if you were jealous of the New York’s tea and books, have we got a treat for you: whiskey and books! Since once a year isn’t enough, and though nothing will replace the awesomeness of four days of Sirens in October, we thought it might be nice for members of the Sirens community to gather throughout the year. So we’re hosting our second round of Sirens meet-up, the Denver edition. Want to join us? We welcome all members, first-timers and veteran, and you don’t need to have attended Sirens in the past to join us. Are you new and curious? Heard of us but haven’t made it to Sirens yet? Wondering if our community is for you? Come on down! And bring your book recommendations, your friends, and your questions about Sirens. Notes: Participants must pay for their own drinks and snacks. Once a year just isn’t enough, right? While nothing will replace the awesomeness of four days of Sirens in October, we thought some tea in New York City—and later some whiskey in Denver—might be a nice way for the Sirens community to connect in the meantime. Want to join us? We’re hosting two casual get-togethers for the Sirens community—and you need not have attended Sirens in the past to join us. Are you new and curious? Heard of us but haven’t made it to Sirens yet? Wondering if our community is for you? Come on down! And bring your book recommendations, your friends, and your questions about Sirens. Notes: Participants must pay for their own tea and afternoon snacks. And our Denver gathering will be later this summer, in July or August. We can’t wait to see some new and familiar faces!